Deal Categories: Pre Workout Products.Stores: eBay. With free shipping this is $23 below what you would pay anywhere else for this stack. Available in 2 flavors for this price. Deal Categories: Pre Workout Products.Stores: DPS. 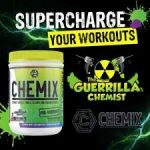 DPS is offering an extra 20% OFF the CHEMIX Life Style brand products including the CHEMIX Pre-Workout. The price for the CHEMIX Pre-Workout drops from $55 to $43 after coupon. This matches the lowest price around for this hyped pre-workout which sells for $55 anywhere else. Click the CART (View Cart) and apply Coupon code ‘DPS10‘ in the coupon section. Shipping is a flat rate in the USA, at DPS so while at it check the other DPS deals. A1Supplements is offering the complete line of SWFT Stims on a buy one get one free or buy one get 2 free. 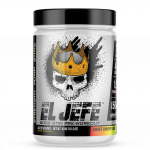 ASC Supplements Coupon - EL JEFE Pre Workout 25% OFF!! Deal Categories: Coupons and Pre Workout Products.Stores: ASC Supplements. to score 25% OFF any order on the ASC Supplement’s website including the El-Jefe pre workout.